Look at this! THIS is a chocolate truffle pie made from scratch by Chef Anissa. 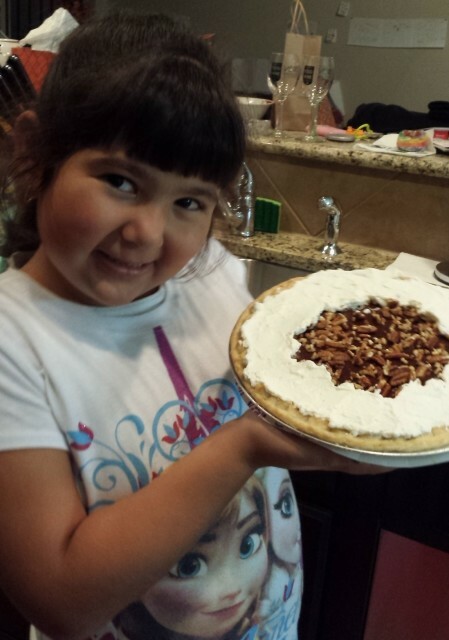 I think she should consider auditioning for Rachel Ray’s Kid’s Cookoff, don’t you? Way to go Anissa, we are so proud of you! 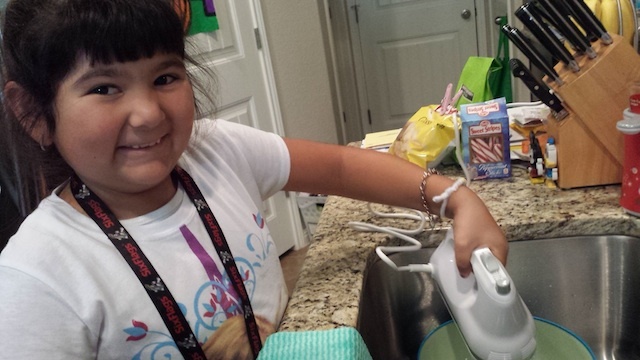 Thank you for sending in these great pictures; Keep on cooking! This entry was posted on Tuesday, December 23, 2014 at 5:48 pm and is filled under Show & Tell.